Nokia S40 Platform is a good platform having a lot of Java Applications. 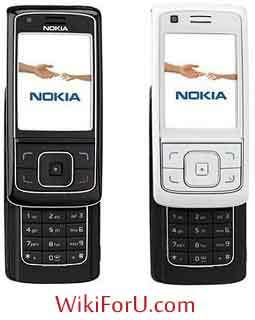 Nokia's S40 devices have become very popular, for example Nokia 3110,2700,5130,5310 XpressMusic etc. But disadvantage of this OS is that, It doesn't allow a user to Use more than one Applications at a time or We can say that is doesn't support multitasking. After doing a lot of Research, I have found a new trick,by using which you can use your Nokia S40 Device like a Multitasking device. In this trick we have make use of PTT(Push to Talk Switch). So We can only Enjoy it on that device which supports Push to Talk. The main method is simple and easy. Everyone can do that. We don't have to do any hard things, When we are using an Application (Suppose Opera Mini Browser),then Puch PTT Switch. Generally it is Up Volume key in most Mobiles. So when you press up volume key of your mobile, then you can do any other task by PTT. 1. Goto Menu->Push to Talk(PTT)->Push to talk Settings-> Push to talk default function-> Choose Open Phonebook or Contacts. 2. Now long press Up Volume key. PTT will open Contacts. 3. Now goto Add New-> Choose From Contacts-> Choose Contact from Phonebook and Save it. Now that Mobile Number will appear in PTT Screen. You can press Green Call button if you want to call that Number. Open Browser: Click on Options->Goto Add Contact-> Select Add manually.->Click on Options and then Add tone, Now click on Tone Downloads, then select options->Add New Bookmark. Now Enter your desired Website Address & Title (For Example: www.WikiForU.com) and Enjoy Browsing. Start Music: Click on Options->Add Contact-> Add Manually->Click on Options->Choose Add Details->Select Tone->Open Gallery-> Now Choose your Music Track and Play it. Open Videos: Click on Options->Add Contact-> Add Manually->Click on Options->Choose Add Details-> Click on Video->Open Gallery-> Choose any Video and Play it. (Note: Just highlight bookmark, never click on Bookmark.) ,Click Options-> Select Send-> Click on as a Message-> Now clear the message box or delete the bookmark. Write your Message and Number and Send. Kindly Comment and Share it, If you like it.